To detect potential effects of acidification on marine organisms, experimenters most commonly use within-experiment replication, but repeating the experiments themselves is rarely done. While the first approach suffices to detect major CO2 effects, other potentially important responses may get detected and robustly quantified only via serial experimentation. A study by Baumann et al. in Biology Letters comprises a meta-analysis of 20 standard CO2 exposure experiments conducted over six years on Atlantic silverside (Menidia menidia) offspring. Figure 1: Robust estimate of silverside CO2 sensitivity based on serial experimentation. (A, B) Mean CO2 effect size calculated as the log-transformed response ratio of six early life history traits measured at 20 standard experiments between 2012-2017 (Error: bootstrapped 95% confidence intervals). 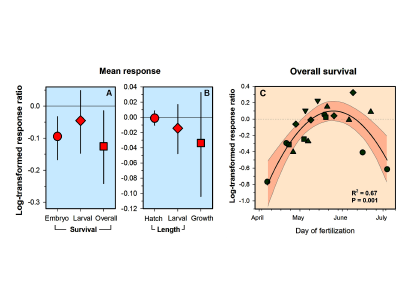 (C) Seasonal change in CO2 sensitivity in silverside early life stages. Each symbol represents an individual experiment, using offspring obtained by fertilizing wild spawners throughout their spring/summer spawning season. Silversides are an abundant and ecologically important forage fish in the North Atlantic. The study revealed that during early life stages, Atlantic silversides tolerate pCO2 levels up to ~2,000 µatm, with seasonal shifts in sensitivity. However, this early exposure to high pCO2 levels reduces embryo survival by 9% and overall survival by 13% (Figure 1). 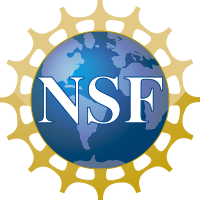 Future ocean acidification could cause reduced survival of these and other forage fish, and thus impact their diverse marine predators, including seabirds and commercially important fish species. This sustained experimental work resulted in the most robustly constrained estimates of average CO2 effect sizes for a marine organism to date, demonstrating the utility of serial experimentation as a powerful tool for assessing organism responses to changing CO2. How will increasing meltwater from Greenland affect the biogeochemistry of the ocean? Release of meltwater into the ocean has physical and biogeochemical effects on the local water column. With respect to nutrient availability, meltwater supplies the bioessential nutrients iron and silicic acid but is deficient in nitrate and phosphate. However, despite very low meltwater nitrate and phosphate concentrations, pronounced summertime phytoplankton blooms are observed in many, though not all, of Greenland’s large fjord systems. These unusual summertime blooms are associated with meltwater from marine-terminating glaciers. So if the meltwater itself is not supplying nitrate and phosphate that these blooms require, what is the source of the nutrients that support these blooms? A recent study published in Nature Communications shows that when meltwater is released below sea level under large marine-terminating glaciers, it rises rapidly towards the surface in buoyant discharge plumes. As these plumes rise, they entrain large quantities of deep, nutrient-rich seawater. 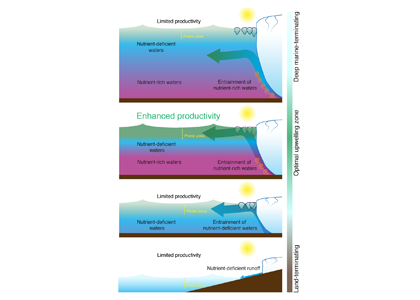 This vertical transport, or ‘pumping’, of these nutrients to the surface sustains unusually high summertime productivity in Greenland’s fjords. Conversely, when meltwater is released at the ocean surface, primary production is reduced because the meltwater itself lacks the nitrate and phosphate required to fuel phytoplankton blooms. Consequently, the inland retreat of Greenland’s large marine-terminating glaciers is ultimately bad news for summertime marine phytoplankton communities. 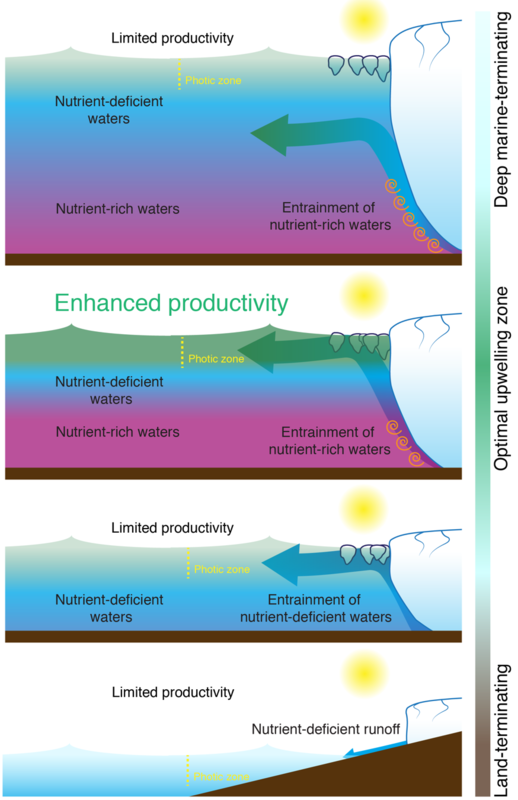 As the depth of the marine-terminating glaciers shoals, their associated nutrient ‘pumps’ collapse, which will likely have negative effects on primary production and associated inshore fisheries. The diatom Pseudo-nitzchia produces a neurotoxin called domoic acid, which in high concentrations affects wildlife ranging from mussels and crabs to seabirds and sea lions, as well as humans. In humans, the effects of domoic acid poisoning can range from gastrointestinal distress to memory loss, and even death. Despite being studied in laboratories since the late 1980s, there is no consensus on the environmental conditions that lead to domoic acid events. These events are most frequent and impactful in eastern boundary current regions such as the California Current System, which is bordered by Washington, Oregon, and California. In Oregon alone, there have been six major domoic acid events: 1996, 1998-1999, 2001, 2002-2006, 2010, 2014-2015. McKibben et al. (2017) investigated the regulation of domoic acid at a climate scale to develop and test an applied risk model for the US West Coast” to read “McKibben et al. (2017) investigated the regulation of domoic acid at regional and decadal scales in order to develop and test an applied risk model for the impact of climate on the US West Coast. They used the PDO and ONI climate variability indices, averages of monthly and 3 month running means of SST anomaly values and variability to look at basin-scale ocean conditions. At a local scale, data were from zooplankton sampling every two to four weeks between 1996 to 2015 at hydrographic station offshore of Newport, OR. Additionally, the NOAA NCDC product “Daily Optimum Interpolation, Advanced Very High Resolution Radiometer Only, Version 2, Final+Preliminary SST” was used to obtain the monthly SST anomaly metric, based on combined in situ and satellite data. 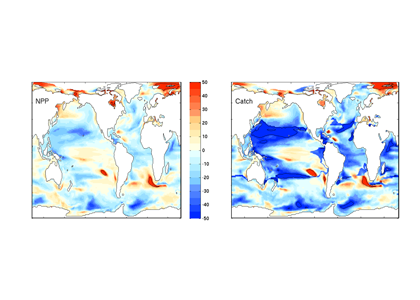 (A) Warm and cool ocean regimes, (B) local SST anomaly, and (C and D) biological response. (A) PDO (red or blue vertical bars) and ONI (black line) indices; strong (S) to moderate (M) El Nino (+1) and La Nina (−1) events are labeled. (B) SST anomaly 20 nm off central OR. (C) The CSR anomaly 5 nm off central OR. (D) Monthly OR coastal maximum DA levels in razor clams (vertical bars); horizontal black line is the 20-ppm closure threshold. Black line in D shows the spring biological transition date (right y axis). 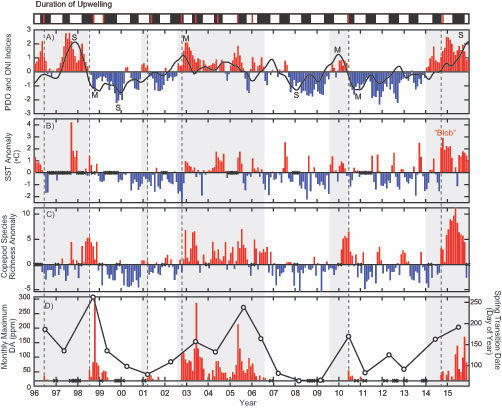 At the top of the figure, black boxes indicate the duration of upwelling season each year; red vertical bars indicate the timing of annual DA maxima in relationship to upwelling. Gray shaded regions are warm regimes based on the PDO. Dashed vertical lines indicate onset of the six major DA events. The September 2014 arrival of the NE Pacific Warm Anomaly (colloquially termed “The Blob”) to the OR coastal region is labeled on B. “X” symbols along the x axes indicate that no data were available for that month (B–D). 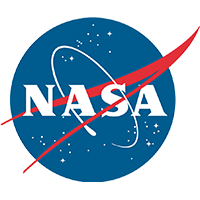 Their findings show that these events have occurred when there is advection of warmer water masses onto the continental shelf from southern or offshore areas. When the warm phase of the Pacific Decadal Oscillation (PDO) and El Niño coincide, the effect is additive. In the warm regime years, there is a later spring biological transition date, weaker alongshore currents, elevated water temperatures, and plankton communities are dominated by subtropical rather than subarctic species. The authors also note relative differences between the prevalence and phenology of domoic acid events in OR, CA and WA, which warrants further study via regional-scale modeling. 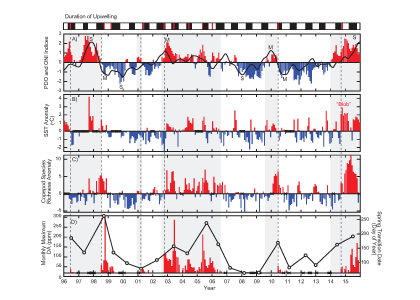 Overall, this research shows a clear and enhanced risk of toxicity in shellfish during warm phases of natural climate oscillations. If predictions of more extreme warming come to bear, this would potentially lead to increased DA event intensity and frequency in coastal zones around the globe. This will not only affect wildlife, but may cause significant closures of economically important fisheries (e.g., Dungeness crab, anchovy, mussel, and razor clam), which would impact local communities and native populations.